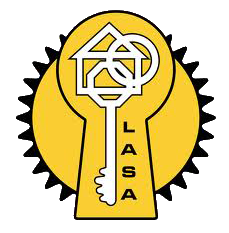 Master Key Systems | AAA Locksmiths | Need a Master Key System? Master key systems consist of a number of cylinders/locks that allow different groups or individual key holders to gain access to all or individual defined areas of a building(s). The key itself is nothing special or different, but rather the locks they fit into. These master-keyed locks are designed to open with different keys, one which is specific to each lock and cannot operate any of the others in the set – the master key, which opens all the locks in the set. These locks that have master keys have a second set of the mechanisms used to operate them that is identical to all of the others in the set of locks. Most locks are based on a fairly similar concept. The most widely used lock design is the cylinder lock. With this design, the key turns the cylinder, which turns an attached cam. When the cylinder is turned one way, the cam pulls in on the bolt and the door can be opened. When the cylinder is turned the opposite way, the cam releases the bolt and a spring snaps it into place so the door can’t be opened. Why Use Master Key Systems? There are quite a few benefits in using master key systems, but the most obvious one is that access can be controlled across a building allowing appropriate people access to defined parts of the building. With a master key, it is possible to define exactly who has access to which areas and it is easy for use, as only one key is needed for all relevant doors. We do basic mastering systems inhouse. A whole set of cylinders and even padlocks can be mastered which makes it very convenient for a manager or owner in a business, where one key fits all. This works particularly well in hotels and guesthouses and makes the managers life a lot easier. It is also possible to have a sub-master or a few sub-masters which would mean that a few doors are opened by the sub-master and a few others by a different sub-master key. However, the grand-master gave access to all areas. 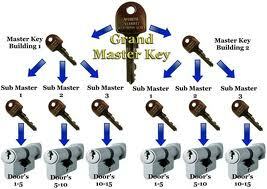 For obvious reasons it is important that strict control is administered over the grand-master key. High security keys can also be mastered which put the owner/manager in total control of all locks with a single key which could not be duplicated without the right authorization. Only selected few has access to the controlled blanks and therefore you have to have it cut where you bought the key. Keyed Alike keys are exactly what it says – a set of locks, padlocks or cylinders that all can be opened with one key, similar to a master key system. However, in this case there is only one key that opens them all and there are no industrial keys for each lock. Polite, punctual, professional, I locked my keys in my car, I realised at 7am, I called and they were there within half an hour. The job took Keegan 1minute, they have all the fancy tools one needs to make the job smooth. And they have a mobile card machine. I recommend them and would most certainly use their services again. Thanks AAA Locksmiths Claremont. 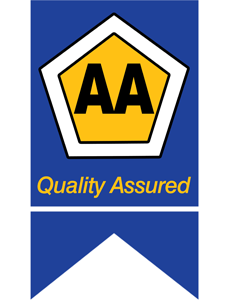 My dealings with AAA Locksmiths has been fantastic, they're incredibly fast and very pleasant to deal with. I'd happy recommend them to anyone who needs their services. Great service and value for money. A locksmith was sent round to my house immediately; he sorted out the problem quickly and efficiently. We have had 3 locks from AAA locksmiths break within the last 5 months from nothing more than general usage. The first lock that broke (which had been in use for at least 4 years) was replaced quickly enough but when the new lock broke but 3 weeks later we were told that there was no warranty or guarantee on the lock and that AAA wouldn't compensate us for what was obviously either a faulty lock or installation. This wouldn't be such a problem if it hadn't happened again a few months later, this last weekend, with the new lock again breaking for no apparent reason other than our ordinary use of it. Aside from the obvious inconvenience and either unbelievably poor quality of lock or workmanship employed by AAA (as well as their unwillingness to account or compensate for these instances), each of these three experiences has cost us R810. I may be willing to pay such a high price to have a lock replaced once, but it isn't exactly an amount I can simply (or should be expected to) budget for on a monthly basis. well managed. good selection of hardware paint brushes thinners masking tape spray paints Etc. closest hardware shop to me!